The Men of the Criminal Investigative Department of the Delta State Police command yesterday arrested popular Blogger and Publisher of PUO REPORTS Mr Promise Uzoma Okoro. 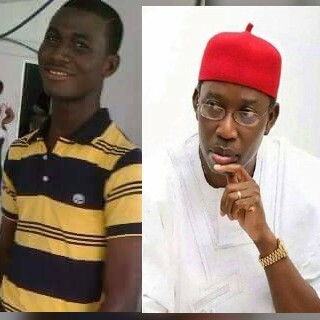 The detectives who pretended to be ex staff of the Delta State Complex, a company which was acquired but the staff were not paid disguised on phone as being affected due to owed salaries, their explanation prompted Promise Uzoma Okoro to discuss on the payment which he charged N150,000 but after much pleading by the said affected PRO Officer of the Sacked workers, N60,000 was agreed. Immediately they arrived at the Police station, they unveiled their identities as Crack detectives from the Delta State Police command Asaba, that Promise Uzoma Okoro was linked to a suspected Pseudonym account on Facebook which has constantly been blackmailing the governor of Delta State. When Promise Uzoma Okoro revealed to the detectives that he does not update on Delta State Politics but that the two publications he made were Metro News which was never libelous, he was simply told that there was a suspiction that either the said Pseudonym account belongs to me or that the owner is my Editor in Delta State. It took proofs upon proofs provided by Promise Uzoma Okoro before the Police were convinced that he knew nothing about the account. It was gathered that the said Publications were titled : Shocking Two Gays Caught In the Act in Delta and Properties Worth Millions of Naira destroyed by fire in Delta, which PUO REPORTS published at the same time the said Pseudonym account also Published.